“Assisting clients to have a sacred dream” as a healing response to suffering, Psycho-synthesis brings something more to Psycho-analysis and Psychotherapy. Its tools and exercises facilitate the accompaniment of clients as they reconnect to soul, purpose, vocation and life stream, all while remaining in the concretely pragmatic “here and now”. The client learns to become, at his/her own speed, the orchestra leader of his/her multiple facets, roles, qualities and sub-personalities. Most psychotherapists would agree with a basic aim of relief of suffering but the framework within which this suffering is perceived can differ widely. Within a medical model, the patient is asked, “What is wrong with you”. The opening quote from D.H.. Lawrence is a clear challenge to this view of the human psyche. An different question is provided in the Grail myth, when Perceval is instructed to ask of the wounded king, “What ails thee?” In modern English we might ask, “What troubles you?. What troubles us in our modern world may be more of a reflection on the times we live through, than our dysfunctional family. A general answer might be that we have become disconnected from our true Self and the role of the psychotherapist is not to dampen down that 'ailment' but to place it within a different context that brings meaning to the suffering. In this short paper on the Psychosynthesis approach to psychotherapy, we will clarify the nature of a Psychosynthesis model by positioning it in relation to other psychotherapeutic approaches. We will examine how Psychosynthesis responds to significant psychological questions and explore its views of change. If the dialectic between Freud and Jung can be characterised as that of a tension between ego and soul, then Assagioli's vision was to bring into psychotherapy a third element, that of the spirit. In a complete picture of the human psyche, all three are needed and the distinctions between soul and spirit are as important as those between ego and soul. Spirit without soul has no containing vessel and soul without spirit loses direction and becomes self-absorbed. Freud emphasised the function of the ego as a means to compromise between the demands of instinctual life and the requirements for social relationship. Jung emphasised the movement along an ego-self axis in which there is an increasing capacity to be true to the potentials within the archetypal self and to explore the soul's destiny. Assagioli stressed the spiritual nature of the self, as opposed to it being an archetype, and the vital part of Will within the process of self-realisation. The Freudian perspective resigns human life to being alienated from nature. Jungian analysis is concerned to heal this alienation in the inner marriage between ego and soul. Psychosynthesis adds the need to marry the soul and spirit - the soul's delight in the detail of everyday life with the spirits awareness of the bigger picture of which we are a connected part. the highest aspect in humans is the most integrative. Jung's conception of the collective added great depth and profundity to our understanding of the human psyche but it remained a psychological perspective. It was Assagioli that sought to give a spiritual context to such psychological explorations. As Godel's theorem posits, no system of thought, such as psychology, can be complete in itself without reference to a bigger system to understand its underlying premises. The problem with attempting to understand transcendent experiences from within a purely psychological frame, is a consequent reduction to what is known. This is what Freud did in equating mystical experience with the oceanic feelings of the embryo in the womb. The spiritual domain offers a meta-level frame from within which to understand phenomena which are experienced psychologically, yet which seem to transcend psychological explanation. It is from within this frame that Assagioli suggested a 'Higher' or transcendent Self which was a source of inspiration beyond the personal self. From systems theory, we know that the higher function is the most integrative as it can include attributes that are less complex, in an evolutionary sense - the cell includes information from molecules and the organ includes that of the cell. In a similar way, from Assagioli's perspective the highest aspect in humans is the most integrative. He attempted to offer a way of thinking about human consciousness that was inclusive of different levels of consciousness in what is often referred to as the Egg Diagram. One of the subtleties of this diagram is the porous boundaries which emphasise the movement between different levels. This is reflected by colour gradients in the model taken from Will Parfitt's book, shown below. There are distinctions between different levels of consciousness (and unconsciousness) but these shade into each other. For the sake of clarity in this article I will use the three sections of the Egg to talk about the contributions of the three main psychotherapeutic traditions which have been integrated into Psychosynthesis psychotherapy. These are Psychoanalysis, Humanistic Psychology and Transpersonal Psychology. In broad terms we can say that the different orientations of these three forces in psychology and psychotherapy concern themselves with the past, the present and the future. These three strands are reflected in Assagioli's core model which differentiates human consciousness into the Lower, Middle and Higher Unconscious. The Lower which links with psychoanalysis, leads to an analysis of origins, the Middle which links with Humanistic Psychology leads to examining present functioning and the Higher, linked with Transpersonal Psychology, leads to exploring future potentials. This tripartite differentiation will form the basis of an exploration of Psychosynthesis Psychotherapy. Ritual urges are as real, basic and fundamental as sexual and aggressive drives; they should not be reduced to sublimation or pathological distortion of the sexual and aggressive components of the personality - although in many neurotic cases such elements are, of course, also present. Whereas Freud had traced the origins of trauma to early childhood and the Oedipal complex, followers such as Ferenzi went further back to birth itself, and modern ideologies suggest intrauterine, implantation and past-life causes. Jung has shown that such causal thinking offers a limited perspective (On Psychic Energy, 1969). Inspired by a dream in which he found a trap door beneath his parental home and discovered below the bones of his ancestors, Jung recognised the collective substratum of the human psyche. We are not only the products of our childhood but are also influenced by collective forces, archetypal patterns that shape our culture and subtly direct the shape of our lives. The developmental perspective is important but does not illuminate our origins because it says we are derivative, a result. James Hillman has pointed out that we are the first culture in history to be so obsessed with our past in this causal way. In 'The Soul's Code'(1996), he develops an alternative view that the child enters the world with some kind of prenatal calling, a destiny which he is careful to distinguish from ideas of pre-destination. This idea of a calling being at the source of our identity is very much in keeping with Psychosynthesis and many spiritual traditions. Assagioli referred to this calling as the impulse of the transpersonal will. Assagioli recognised that psyche longs for union with spirit, as the story of Psyche and Eros suggests. He sought the origins of psychic life beyond the psychological. In this sense, Psychosynthesis is a psychology and psychotherapy of Inspiration. It pertains to the influence of the spirit on the psyche. This inspirational context for psychotherapy has several consequences for how psychosynthesis psychotherapy is practiced. Firstly, while many clients present issues that seem to arise out of unmet needs from childhood or from the devastating effects of early wounding, the theoretical orientation of a psychosynthesis psychotherapist is not to seek out the cause of a person's present difficulties in their past. Psychosynthesis is an inclusive psychology rather than a reductive one. While the past has its influence it can not be an explanation for the present . Instead of reductively analysing the psyche in terms of past trauma, a Psychosynthesis practitioner will look for patterns in a client's life which show themselves in the client's history but whose origin goes beyond that history A classic example of this is the birth process itself. Having had a cesarean delivery may correlate with an expectation of things just happening for you but the birth is not a cause of this pattern. As the quotation above indicates, we are beings with spiritual longings which are just as significant in our lives as instinctual needs. It is in the denial of these existential longings to be fully who we are, which Assagioli called 'The Repression of the Sublime', that the soul is wounded. This does not mean that the past is not considered to be important. John Firman and Ann Gila recent work on trauma and addiction, entitled, The Primal Wound, brings a strong Psychosynthesis perspective to bear on early wounding and integrates diverse fields of psychology and psychotherapy including Object Relations, Developmental theory, Self Psychology and Transpersonal Psychology. Our pasts clearly have a significant effect on our lives and our childhood experiences are formative, but this is not the same as making mothers the source of all our problems. Problems in mother-infant bonding and failures in empathy to which Firman and Gila refer, may themselves by symptoms of a deeper spiritual alienation current in our culture. This way of seeing that does not reduce has strong implications for how a Psychosynthesis psychotherapist works with the inevitable projections and transference that occur in any intimate relationship. We shall return to explore this further in the sections on 'Present' and 'Future'. The psychosynthesis perspective holds that the seeds of our identity need to be found in some more mysterious idea which pertains to the spirit. Following Hillman's Acorn theory, we might say that our true origins lie in the future, as we discover more of who we essentially are. This new way of thinking about our origins affirms a deep meaning within ourselves that our lives are more than the product of unfinished business from our childhood. If our origins are mysterious and not to be understood through analysis, then we need a trans-analytic approach to understanding our origin/destiny. The difficulty is that our egos want a goal, something we can define and hold onto whereas our true nature can only be discovered through living it. This makes it imperative for the Psychosynthesis psychotherapists not only to do therapeutic work on themselves, but also to engage in their own spiritual search. Assagioli developed the practice of Disidentification as a way of helping psychosynthesis practitioners to let go of their attachments to having goals or outcomes and to be present to the mystery of the other. Being present in this way means being very much in the ground of one's being and not distant or with a particular agenda to make happen within the therapy. The Psychosynthesis notion of Bifocal Vision describes how a psychotherapist can attend both to the detail of the symptom or complaint and see through to a deeper layer of meaning. Lastly, to sense the mystery of another, the psychosynthesis psychotherapist needs to be open to inspiration. The greatest obstacle to inspiration is the thought that you know what you should do because that is what you have been taught. In psychotherapy this obstacle often takes the shape of theoretical strictures that lead to treatment plans. There needs to be a place for such ego plans provided the therapist is not identified with them so that they become an agenda which controls the course of the therapy. Here again the practice of disidentification is important. It may be difficult to open to inspiration if you are laden down with too much theory. Compared to any other founder of a psychological approach, Assagioli wrote very little and relied on direct contact with students, as in an orally transmitted tradition, to convey his message. In this way he offered a very different model of 'fathering' from did Freud who jealously guarded his Psychoanalysis. 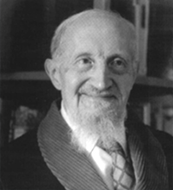 Assagioli had a very open non-dogmatic attitude and said that Psychosynthesis is best understood as a guiding attitude rather than a well bounded theory. This inclusive attitude would complement other psychological approaches rather than be an alternative to them. The freedom which comes from such an open attitude is based on Assagioli own trust and willingness to allow psychosynthesis to be guided by its fate rather than trying to control what it might become. For the hundred years of its existence, psychotherapy has been developing within the analytic paradigm first set by Freud and enlarged by Jung. There are an increasing number of challenges to this paradigm, both from within the profession (Hillman and Ventura 1993, Weve had a hundred years of psychotherapy and Wolfgang Giegerich 1998, The Soul's Logical Life. Towards a Rigorous Notion of Psychology ) and from the general public in terms of accountability. As Thomas Kuhn pointed out, paradigms are seldom changed from within. Those within the paradigm seek to improve it rather than challenge its fundamental structure. Radical challenge needs to come from those not thinking within the paradigm who can see in new ways. The Freudian 'discovery' of the unconscious, for example, has become central tenet of psychological thought which until recently has remained unchallenged. Yet what is meant by the unconscious has evolved from that of raw instinctual energy which needed to be controlled by the ego to that of a source of deep inner wisdom beyond that of the ego. This is far from unconscious, even if our egos are unconscious of it! Perhaps it is time for a radical rethink? What is radical now at the beginning of the 21st century? What is radical is what has been left out, banished, forgotten, put into the shadow. Despite the fact that recent surveys suggest that up to a third of adults have had a spiritual experience, soul and spirit are the royalty estranged from the psyche. We live in what the Grail myth describes as the 'Wasteland' in which the wells of spiritual nourishment have run dry. The way to soul can not be through any new effort on the part of ego-psychology. Emphasis on the ego has lead psychotherapists being concerned with adjustment to social norms. The original radicalism of Freud has faded as analytic thinking became absorbed into the cultural mainstream. What Psychotherapy needs are new perspectives that break the mold of the dominant ego psychology and open up a new paradigm of thought which are radically spiritual. The last part of this paper will sketch out some of the developments in Psychosynthesis which make a particular contribution to restoring our sense of participating in a spiritual universe. The major philosophical problem of psychology and psychotherapy is to reflect on the source of conscious reflections - our selves. Despite considerable creative effort in attempting to comprehend the Self , including that of Jung, Winnicott and Kohut, there is still confusion. What is different about the Psychosynthesis is that it does not attempt to understand the Self from the viewpoint of the ego and intellectual mind. To unravel the mystery of who we are is not within the job description of our ego and intellect. Instead it uses the experience of 'Initiation' to change a person's consciousness so that they , he failed to recognise the hon Self. This is the path of direct knowledge. Initiation into different states of consciousness does not belong solely to spiritual traditions. William James, a contemporary of Assagioli, is much quoted as saying that ordinary waking consciousness, ego consciousness, is but one of many available states of consciousness. There has been extensive research into these “altered states' in Transpersonal psychology, e.g. by Charles Tart.. Meditation is a tool in which psychotherapists will be increasingly interested and not just for relaxation but for opening up possibilities of inner exploration. As previously mentioned, Psychosynthesis utilises the realm of the imagination to activate deep sources of wisdom within an individual not available to the conscious mind. In complement to expanding awareness, there is the development of the capacity to Will. Assagioli set much store by people learning to face the challenges that life set them - the blessings of obstacles he called them. For people to rise to such challenges, they need to have developed their potential for creative and authentic action, which is what the Will gives. One significant area for the application of Will work is that of mid-life in which so many existential questions confront us as individuals. Here the willingness to listen to what our heart, our inner prompting are telling us and not betray our true calling, even it is hard or painful, is a challenge in which Psychosynthesis psychotherapists have given particular attention. Although Freud took the Oedipal story as the central myth of his psychoanalysis, he failed to recognise the blindness that comes when the 'ego' is enthroned as king. This century has been one that will be remembered both for its technological advances and for its barbarism The redemptive process of restoring soul and spirit and healing the alienation from which our materialistic culture suffers, is the primary purpose of Psychosynthesis psychotherapy. Assagioli often said that human evolution needed to balance the development of outer technologies with that of inner powers. This has never been more true as we enter a new millennium. The Grail has long been a source of inspiration for those seeking to develop their inner powers. It counterpoints the typical heroic endeavour by showing how its heroes had little idea for what they were searching and spent much of their time being lost. Sounds like psychotherapy does it not! Even more pointed for our frantic busy lives are the challenges for Perceval to learn to wait. In one encounter, he sees a woman (Sigune) holding the dead knight who was her love. Perceval is unable to be present to her deep sorrow and wants to rush off to avenge his death. He is astonished that she sits silently waiting, simply waiting. Learning this capacity to “wait without hope”, as TS Elliot called it, so that we can experience life's deep sorrows and longings, is one of the most significant inner powers a psychotherapist can develop. Another important area is that of 'psychoenergetics'. This is the meeting place between those practitioners who work primarily with dialogue and those who work with energy. They meet in the new ideas about the 'Field' which converge from quantum physics, systems theory, and alchemy. Some psychosynthesis psychotherapists have been exploring new ways of working with the Field as applied to the therapeutic relationship, in which the traditional concepts of transference and counter-transference are revisioned. Moving away from Newtonian questions such as, “Who does this feeling belong to?” opens up the mutual space in which a partnership between therapist and client can lead to transformation for both. Within psychotherapy there is a movement away from traditional conceptions of transference and counter-transference as a subjective replay of childhood history to an appreciation of the therapeutic field as a dynamic and archetypal third space between the dyad of therapist and client (as in Swartz-Salant, The Mystery of Human Relationships). In this shift of attention away from the intrapsychic life of the client to the field of 'transitional space' as Winnicott called it, therapists are making the move from thinking in terms of interaction between the two to a recognition of the mysterious 'Third' as a sacred presence that is not the product of any interactions. From a psychosynthesis viewpoint our interconnection is primary and it is a defensive illusion of separateness that divides us as distinct “skin encapsulated ego”(Alan Watts). Asimilar message was given by the ancient alchemists who saw the movement from the Two to the Three as the vitalisation or quickening of the soul. The alchemists have also reminded us that there is more of the soul is outside the body, than inside. The soul is not actually our soul , but we are part of a bigger soul - Anima Mundi - the soul of the world. Carl Rogers said that the more you go deep inside yourself the more you find the whole of humanity. The present challenge for psychotherapy is to not so much to be mirroring our narcissistic clients but rather to look through the mirror of ourselves into the collective and see how our inner life reflects that of our environment. We might call this Gaia empathy. Psychosynthesis is ideally suited for the application of psychotherapeutic thinking beyond the consulting room, as it has an abstract model of how complex organisms or organisations can value individual parts and choices, while at the same time take an holistic overview. If psychotherapy is to regain its radical edge, it will need not only to reconnect with its lost Soul but also to recognise that the context for suffering and healing is planetary as well as individual. To the extent that we can recognise our culture is itself within the throes of a mid-life crisis with classic manic defenses, then we can recognise how important this work is. The danger with such an inclusive attitude as the one Assagioli proposed is that it is too open. Assagioli acknowledged this in an interview with Sam Keen. Those who have come after Assagioli have had the responsibility to ground his vision in good clinical practice. On the other hand evolutionary extinction often come from specialisation. Conversely an open attitude has meant that the very excellent developments elsewhere in psychotherapy could be discriminatively integrated into Psychosynthesis Psychotherapy without threatening its identity. The common ground is both the attitude of 'Synthesis' and a number of principles, which create an overall context or holding framework. Different schools of Psychosynthesis training have offered various emphases so giving a pluralistic spectrum. In reality this is not much different from the many different Freudian and Jungian schools of thought. In a broad look at how Psychosynthesis Psychotherapy functions today, we shall examine three main themes. Firstly we shall draw on the work of Abraham Maslow (1968, 1971) in setting out the third force, Humanistic Psychology. Secondly, we will focus on the Imagination as the central medium through which the craft of Psychosynthesis Psychotherapy is practiced and thirdly, examine the ways in which the open framework of psychosynthesis has allowed it to effectively integrate recent developments in psychotherapy across many disciplines and traditions. Assagioli drew widely on the writing of Maslow and linked Psychosynthesis with Humanistic Psychology in his first book. (Assagioli, 1965). What Maslow called "the farther reaches of human nature" (Maslow, 1971), fitted well with Assagioli's ideas of 'height psychology' and the human drive for self realisation. Both stressed the importance of starting to explore identity from within the individual, the capacity of the individual to take responsibility for their choices in life and to rise to the challenges which life presents. Like the humanistic emphasis on potential and 'growth', Psychosynthesis offers a vision of 'What We May Be', as Pierro Ferrucci has entitled his book. Assagioli was seeking to give an optimistic and encouraging message about the capacities of the human psyche in contrast to Freud's pessimistic conclusions about human nature . In a much quoted letter to Bingswanger, Freud described his work as limited to exploring the ground and basement of the 'house', leaving the attic to be explored by others. Assagioli did just that. In looking at the bias towards height in Psychosynthesis it is important to place Assagioli's contribution within its historical setting. The beginning of the twentieth century marked the phenomenal success of science in explaining the world and the rise of technology in controlling nature. In a Promethean whirl of excitement with 'his' new found powers, 'man' was set to conquer all - even his own psyche. Assagioli warned against an outer technology that was not balanced by the development of inner awareness and wisdom. Assagioli's root metaphor was the idea of synthesis, which begins from the premise that we are essentially whole in our nature - not good or perfect but whole. Whatever fragmentation, alienation and splitting we have suffered in order to psychologically survive, the spiritual self is calling us towards our healing - our unity with the divine. From this viewpoint our suffering may become the means to awaken to our true nature. Rather than trying to untie the knots of our alienation, we could create a new perspective for our identity by shifting our attention away from the habitual patterns of conditioning to the underlying wholeness of who we essentially are. In many ways Assagioli was reiterating what spiritual teachers have said over centuries, namely that we are asleep to our true nature and we need to 'Wake up'! This call mirrors Maslow's attempts to formulate a new psychology which would give rise to a 'meta-counselling' that looked to the neglected higher motivations and aspirations of human beings. A chief difference between Maslow and Assagioli was that between theoretician and practitioner. Assagioli was interested in developing methods which would respond to the search for inner wisdom in clients and facilitate a transformational process by accessing unexplored aspects of their psyche. He knew, like William James, that it was possible to experience and explore far greater potentials in human than could be reached by rational language and discourse. Watzlawick suggested that psychotherapy relies too much on helping clients with left hemispheric, linear tools of explanation, argument, analysis and interpretation. The more expansive modes of consciousness of the right hemisphere, imagery, symbolism, metaphor and myth, seem to be the best path to therapeutic change because they access most directly the individual's implicit wisdom. The imagination is the medium through which many processes in Psychosynthesis happen. The psychosynthesis approach emphasises the exploration of the symbolic process through the use of creative visualization and mental imagery. Although much of the published work in Psychosynthesis has emphasised guided imagery, which goes back to Desoille seminal work, “Le Reve Eveille´ en Psychotherapie”, the integration of a Jungian concern for trusting images to unfold in their own rhythm rather than manipulating them, has led to a more mature and respectful method of working with the imagination. These more subtle methods elicit spontaneous images and facilitate clients sinking down below their rationale mind to access their inner source of healing and wisdom. In common with Jungian analysts and many humanistic and transpersonal psychotherapists, Psychosynthesis psychotherapists have a deep trust in the unconscious wisdom of the psyche. This includes a faith in the psyche's capacity for self-healing and a belief that symptoms, dreams and moods, while uninvited by the conscious mind, can all be forms of self-repair. The role of the psychotherapist, in keeping with the idea of the Therapae, mentioned in the introduction, is to facilitate a conscious acceptance and cooperation with these inner forces. In working with images, as with other methods, the Psychosynthesis psychotherapist balances the appropriateness of active and receptive methods of working according to the needs of the client. If transference was Freud's thesis and 'Be here now' the antithesis of humanistic psychology, then the synthesis position is to work with both transference and more dynamic methods. This gives the psychosynthesis psychotherapist the challenge of great flexibility. In terms of the transference, we see that unmet needs from childhood and ungrieved idealisations form the basis of deep unconscious impulses which need to be given a place within the therapeutic relationship. When the therapist can receive these unconscious impulses, through recognising them within his/her own experience, then an empathic resonance occurs which is deeply healing for both therapist and client. The difference from the classical psychodynamic position is in the mutuality of the process and the acceptance of the therapist risking being infected by the client. What allows a psychosynthesis psychotherapist to enter into this process so fully is the sense of being held by a power greater than themselves. The I-thou of the relationship is the container that holds both personalities - client's and therapist's. The growing awareness in the psychotherapeutic field that there is no one right answer or method leads us to the need for flexibility on the part of the therapist and the ability to adapt their style of working to the specific needs of each client. For one client a direct confrontation may be necessary, while for another a more imaginative approach using story and myth might be more appropriate. The beauty of Psychosynthesis is that it is inclusive of different levels of working. There are a wide variety of methods employed to meet the diversity of needs presented by different people whether they be suffering from early wounding, neurotic conflicts or existential questions about who they are and where their life is going. Many Psychosynthesis psychotherapists make use of Ken Wilber's idea of the distinction between pre-ego and trans-ego issues and the importance of neither confusing a psychotic break with a peak experience nor reducing a mystical experience to a wish to merge with mother. Openness is maintained by allowing different methods to complement each other rather than attempting to make everything fit together. Thus the coherence of Psychosynthesis Psychotherapy is not threatened by the inclusion of complementary ideas and practices from other disciplines. In fact the openness of Psychosynthesis demands this assimilation without which it would be a rather abstract approach. This also fits with Assagioli's own style which was to borrow freely from wherever he felt was complementary. Conversely, one method that was originated in Psychosynthesis which has been widely borrowed by other disciplines, is that of Subpersonalities.. This has been concept has been widened by Miriam, Rowan and others so that it now links object relations, complexes, need theory, belief systems and archetypal theory. The importance of such seminal ideas in linking theory from different schools of thought is the paradigm case for the synthetic, integrative nature of Psychosynthesis.